Your head and heart are working in concert today, Aries. Things are coming together just as you expected them to. Have confidence in yourself. More than likely, you have the perfect solution to every situation. Maybe your incredible perception of the circumstances will catch someone off guard. Be prepared for some surprised reactions. Get in touch with your vulnerable side today, Taurus. Don’t pretend to be someone you’re not. Realize that you can be yourself and still have a good time without needing to hog all the attention. Stabilize your mind and create space to grow. Take some of the advice that you give to others and apply it to yourself. This is your day, Gemini, so don’t let anyone take it away from you. The key will be to get a head start on whatever goals you wish to accomplish. Don’t waste time thinking about exactly how you’re going to accomplish them. Just get started. The first step is the most important. You’re grounded right now, helping you get a better handle on what it is you need to do. Open up and reveal more of your sensitive side, Cancer. The more willing you are to share with others, the more they will feel comfortable sharing things with you. Your head and heart are in agreement, so use this to your advantage. Ground your mind and use it to take a rational approach to your feelings. The truth of the situation will become clear. Things should go well for you today as long as you can keep the drama to a minimum. You can jump over any hurdle in your way, so don’t worry about a thing. You have a sharp, intuitive wit about you that’s grounded in the real world. Take care of the details and plan your next big move. Clean, organize, and throw away things that no longer serve you. You may have to bring yourself down to ground level in a rather sobering fashion, Virgo. Maybe you’re forgetting an important piece of a goal that you’ve been shooting for. This is a good day to review your progress and deal with any details that require attention. Keep your adventurous spirit alive, but have at least one foot on solid ground. You have a tremendous ability to understand the inner workings of any situation, Libra. You may need to give someone a reality check to make sure they’re on the same page as you. Use your criticism constructively so you don’t alienate yourself from the people. Help to fill in the blanks in a situation that isn’t fully understood by all parties, and move the project to the next level. Don’t say anything about someone behind his or her back that you wouldn’t want to say if the person were standing right next to you, Scorpio. Feelings are easily hurt on a day like this. People will instinctively know that you’ve been saying negative things about them. Come clean with any confessions that you might need to make toward someone you love. Be honest and open with your feelings. When it comes to decisions, Sagittarius, do what’s best for you today. Don’t feel like you need to perform certain tasks just because of guilt over a past situation. Do things because you want to, not because you feel obligated to someone else. The only obligation you have is to you. If it’s truly your desire to help someone out, then go for it, but don’t sacrifice too much of yourself in the process. It’s time to settle down from the rapid-fire activities of the past few days and retreat to a quieter state of mind, Capricorn. Take care of the details you failed to attend to while you were out having fun. Now is the time to turn inward and reflect. Rely on your inner reserves as opposed to your outwardly directed actions. Stay grounded and let your emotions work with your rational side. This is an excellent day in which your thinking is clear and your emotions stable, Aquarius. Use this powerful combination of a solid frame of mind and compassionate feelings to express yourself in a sincere, positive fashion. There’s a great deal of power on your side helping you track down your goals and get exactly what you want. Turn your energy inward today, Pisces. Make a detailed list of what you need to get done in order of priority. It’s time to take inventory and get organized. 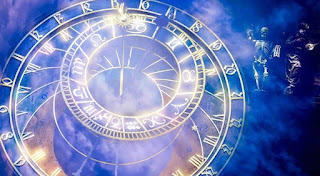 Detail-oriented projects are favored, and you have much more patience and concentration than usual. Slow down the pace and remember to smell the roses as you pass by.